If you have ever wanted to experience the life of a cowboy if only for a short period of time, then this historical Wyoming working cattle ranch is the vacation choice for you. 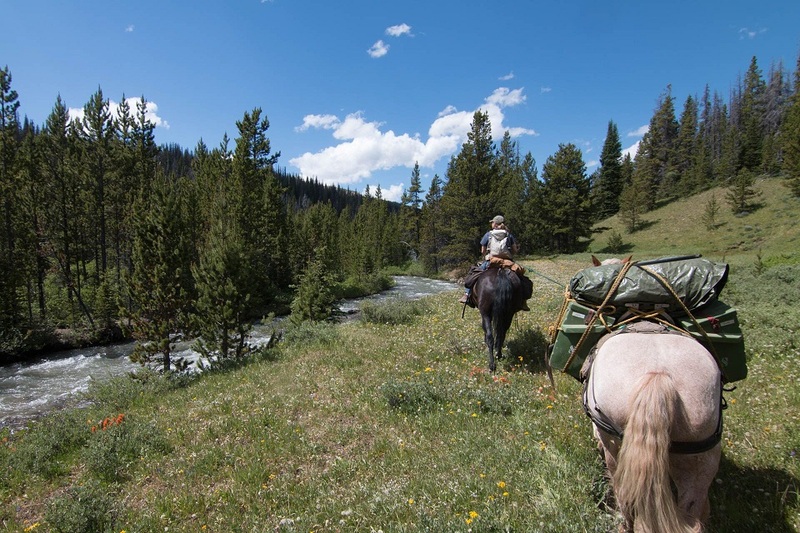 Klondike Ranch is so much more than your typical dude ranch. Here, there is no head-to-tail horseback riding. Ninety percent of the spring, summer and fall is spent horseback riding and working cattle every day. For those looking for a real adventure be sure to sign up for the overnight camp out at the ranch’s mountain cow camp. Spend 1-2 nights camping out either in one of their bunk wagons or in a tent under a brilliant, star-studded sky. 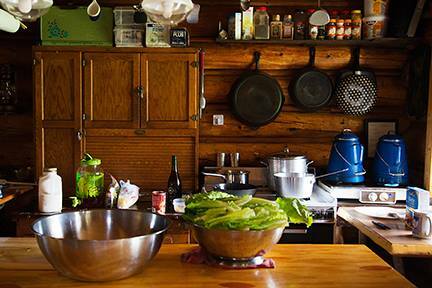 Feast upon open fire cooked meals prepared by the “cow camp chef” while taking in the majestic beauty of the bighorn Mountains. Private outdoor bathroom facilities are provided to ensure your comfort. If you would rather spend all your time at the ranch then there are modern, rustic, comfortable cabins, each with their own private bathroom some of which feature kitchenettes and living areas as well. Meals are served family-style in true ranch fashion. You’ll dine on home-cooked, healthy, hearty meals while enjoying good conversion with new friends seated at your table. If you are out on an all-day trip a sack lunch will be provided. While staying at the ranch you will have the opportunity to become a “ranch hand” if this interests you. This means helping out with the day to day “chores” like: fencing, doctoring livestock, cutting and baling hay, and irrigating pasturelands. Guests love to learn new skills and immerse themselves in the life of a true cowboy. But that’s not all! 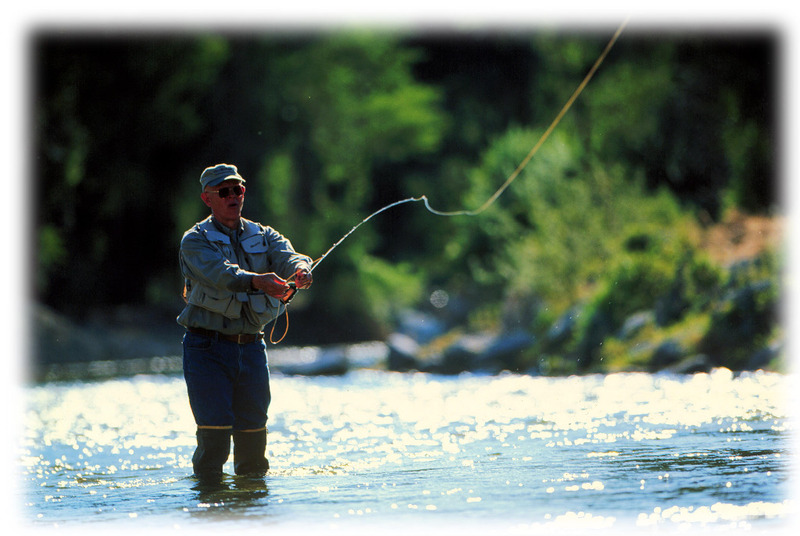 Klondike Ranch also provides first-class fishing opportunities, hiking, rodeos, photography excursions, exciting historical tours and other experiences for you to choose from while on your Wyoming vacation. 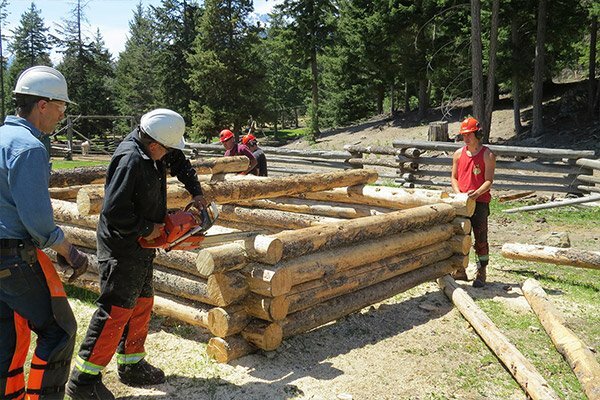 “I have had a dream of being a cowgirl and my week at Klondike Ranch made that a reality. Patty, Richard, and their family are a warm, welcoming group of people who not only make you feel like part of the family but are there to share their knowledge of local history, the workings of a cattle ranch, and their dining room table for amazing home cooked meals. For an authentic western experience choose Wyoming’s Klondike Ranch and fulfill your dream of living the life of a cowboy or cowgirl. The following blog has been provided by guest contributor Jon Sutton to share his knowledge about fishing with RanchSeeker's readers. Guest ranch vacations are rarely boring affairs. Throughout your stay, you’ll be immersed in the dude ranch lifestyle. You’ll ride horses, learn rope skills, get a taste of ranch culture and enjoy wonderful cuisine. 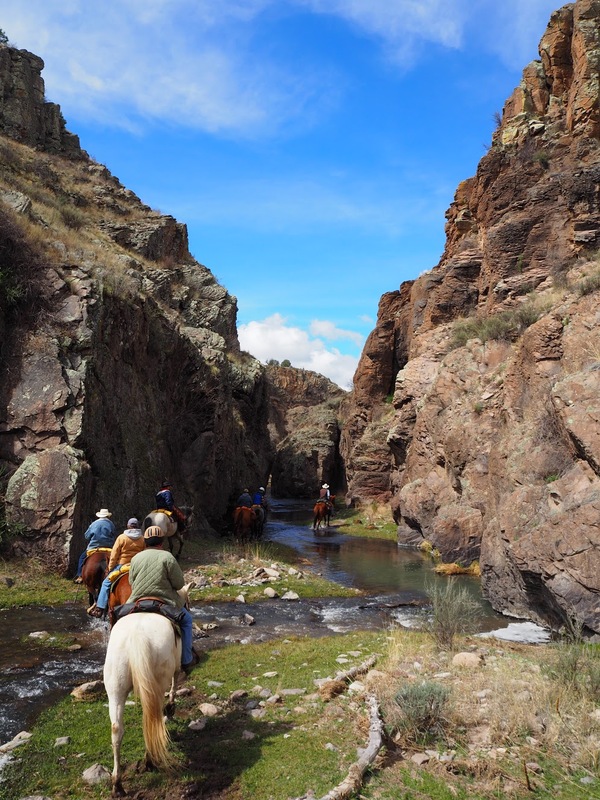 But most of the best guest ranches also give you the chance to do other things too. For example, many guest ranches border rivers or lakes and provide great opportunities for fishing. And because most guest ranch vacations are family affairs that include the kids, they provide the perfect opportunity to introduce your kids to the sport. It’s really a no-lose proposition: Even if the fishing trip doesn’t go well, you’ll get the chance to spend a couple of hours bonding with your children and sharing the great outdoors with them. But if you plan the trip well, you’ll likely have a fantastic time, catch plenty of fish and take home photos of your kids showing off their catch. Just try to embrace the tips below to ensure that your kids enjoy the best possible fishing experience. If things go well, you may spark a lifelong love of the sport, and help them develop an appreciation of the natural world. 1. Outfit your kids with age- and size-appropriate equipment. Too often, kids are forced to fish with a parent’s hand-me-down rod, which is essentially guaranteed to be too large and complicated for them. Instead, you’ll want to outfit them with something befitting their size and skill level. A 5- to 6-foot-long spinning or spincasting combo is the ideal rod and reel for most kids who are learning to fish. 2. Pick a good location to fish with your kids. You have to put your bait where the fish are if you expect to catch any, so don’t just go down to the lake and started casting about randomly. Instead, look for places near vegetation or man-made structures like docks, or where the depth changes abruptly. These are the types of locations in which fish often congregate. 3. Get started early or wait until later in the day. Fish often exhibit daily activity cycles; they’ll become active and feed during some times and rest during others. In the spring, summer and early fall, these active periods are often most pronounced near dawn and dusk, when the sun is low in the sky. Additionally, these times often offer the most comfortable fishing conditions for you and the kids. 4. Target the species your kids will have the best chance of catching. Don’t set your kids up for disappointment by trying to catch largemouth bass, walleye or pike. 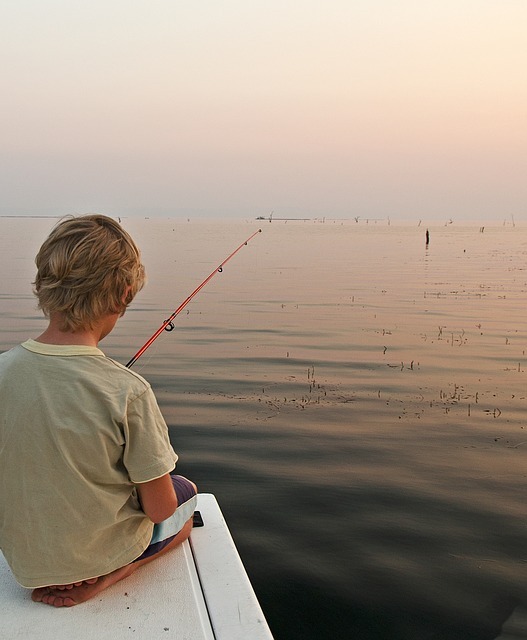 Instead, try to increase your children’s chances of catching fish by targeting abundant, easy-to-catch species. This typically means targeting catfish and bluegill (as well as their relatives), but perch and rainbow trout can also be easy to catch in small ponds that are stocked with them. 5. Use real or live baits, rather than artificial lures. Fancy artificial lures may be productive and fun to use for experienced anglers, but fishing novices will generally struggle to use them and end up snagging them on the bottom. Instead, use natural or live baits when teaching your kids to fish. For example, small worms, crickets and small dough balls are very effective for catching bluegill, while hot dog slices, grapes and shrimp are excellent catfish baits. 6. Keep things light, positive and fun. Chances are, it may take a little while for your kids to get their first nibbles. This can lead to frustration, which can cause them to lose interest in fishing altogether. Accordingly, you’ll need to maintain a positive attitude and ensure that they’re still entertained and happy while learning to be patient. So, make sure to learn plenty of kid-friendly jokes and allow them frequent breaks to explore the shoreline or chase frogs, if necessary. They’ll usually regain their interest in a few minutes and do so with renewed determination. If you follow these tips and tricks, you’ll set yourself up for a great day on the water and help your kids form memories that’ll last a lifetime. 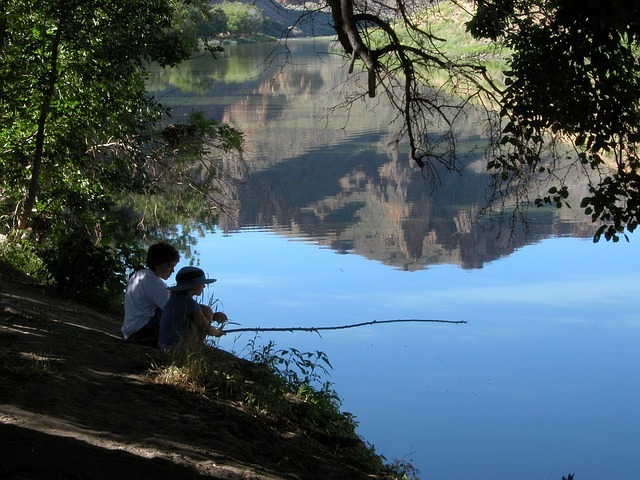 So be sure to give fishing a try on your next guest ranch vacation – you’ll be glad you did. Just be sure that you familiarize yourself with the fishing rules and regulations of the state you’re visiting and that you obtain all necessary licenses before doing so. You don’t want to taint your child’s first fishing trip with an unpleasant encounter with law enforcement. 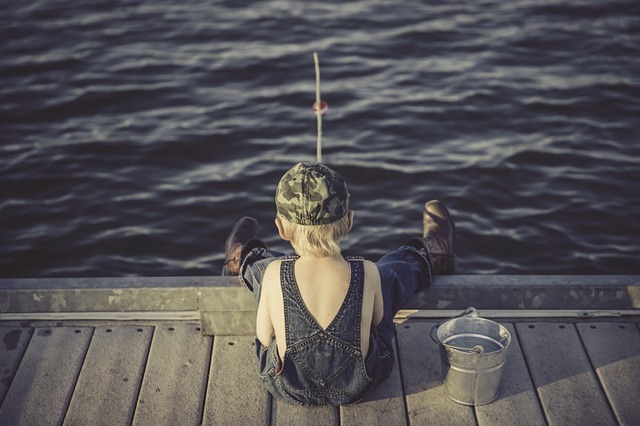 In the meantime, cruise on over to Outdoor Empire and check out their comprehensive article about taking your kids on their first fishing trip. There, you’ll learn more tips and tricks to make your kids first trip a great one. 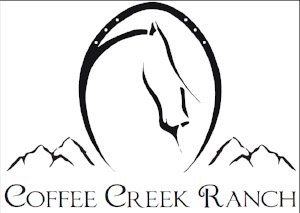 If you are looking for upscale luxury, a culturally diverse atmosphere, personalized guest care and spectacular natural surroundings then this Wyoming guest ranch is for you. The Hideout Lodge & Guest Ranch, located in Shell, Wyoming (east of Yellowstone National Park) combines a real working cattle ranch with great horseback riding opportunities as well as world class fly-fishing and old west hospitality. With no more than 25 guests per week and a 1:1 staff guest ratio as well as access to 85 horses you will find that the owners and staff are actively involved with your well-being during your guest ranch vacation. 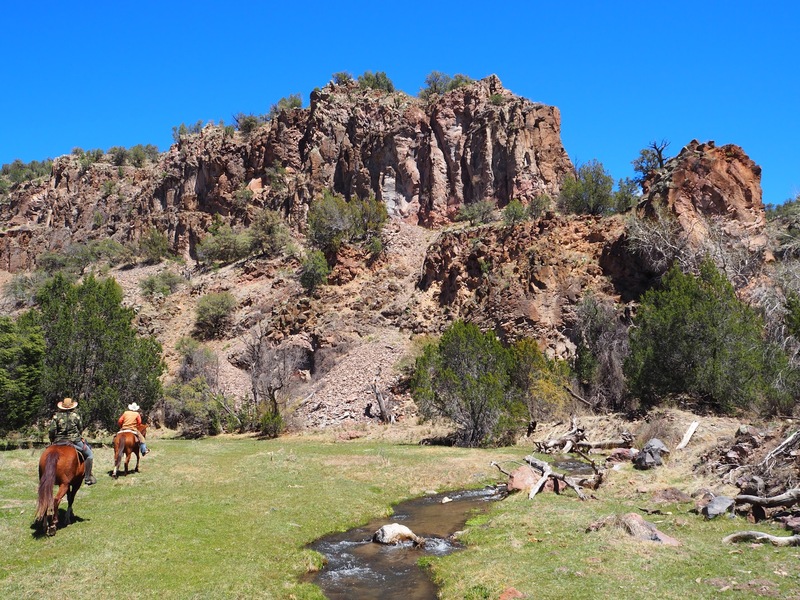 In addition to riding, working cattle and fly-fishing, they offer an array of non-riding activities and adventures such as trapshooting, archery, canoeing, hiking, biking, 4x4 tours, and other exciting activities to fill your days. While riding you will experience a unique variety of terrains, biodiversity, climates and scenery since elevations in this area range from 4,200 to 13,200 feet. And with close to 650,000 acres to explore you will seldom ride the same trail twice so be sure to bring your camera! The Hideout Lodge & Guest Ranch is a Riding Guest Ranch with great horses for all levels of riders. Along with Quarter Horses and Paints the ranch also have a growing number of well-trained Mustangs for their guests to ride. 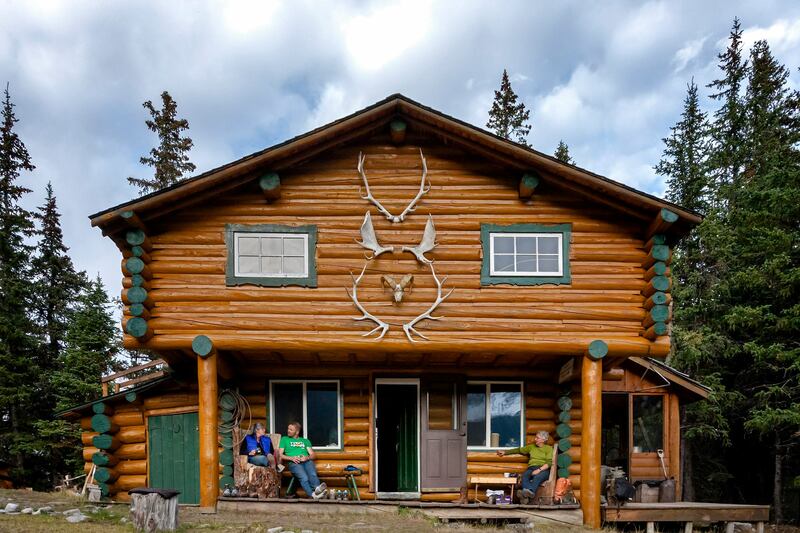 The Hideout Guest Ranch & Lodge, although more of an adult orientated ranch, also welcomes families and is an ideal vacation choice for solo travellers. Many of the ranch’s guests are repeat vacationers. They come back because of the warmth of hospitality, the high-end pampering and excellent, healthy food created by their culinary schooled chef. 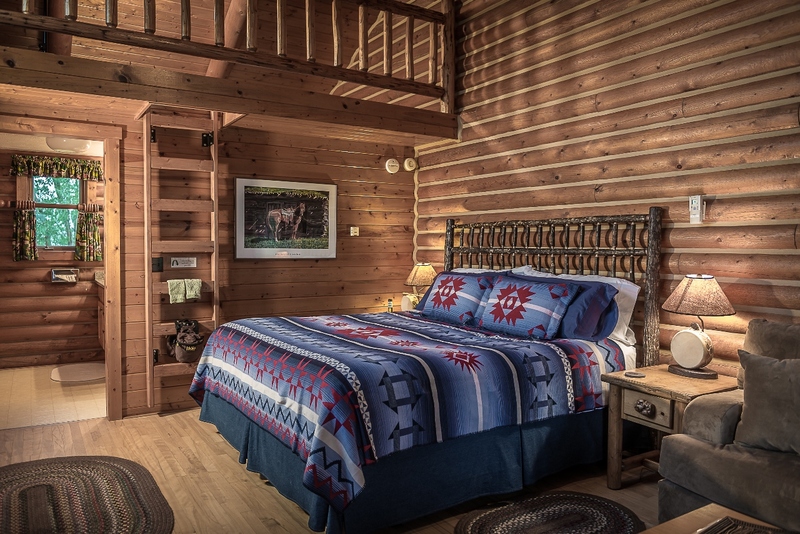 Accommodations include western-style log cabins that were built in 1992 and recently renovated guest casitas all of which feature your typical creature comforts from home. There is a swimming pond and hot tub for guests to use as well as emerald green lawns and well-lit pathways which connect to the main lodge. While staying at the ranch you will be treated to hearty Western fare and gourmet dinners and the view from the dining room, where meals are served, is simply spectacular! Open all year round the ranch offers many different rates and packages, so you are bound to find a time of year and package that best suits your upcoming vacation needs. Adventure Travel at its Finest! 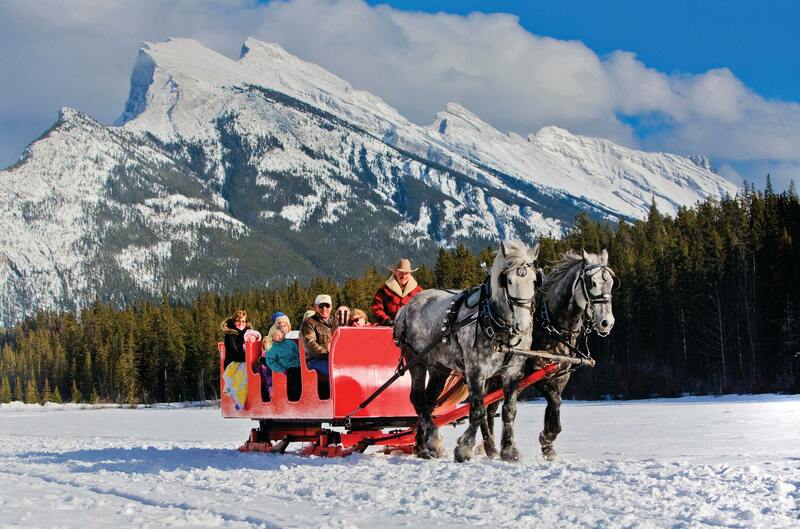 For folks looking for an exciting vacation as well as spectacular scenery, Banff Trail Riders is the perfect choice! You will discover an aspect of the Canadian Rockies that is only possible from atop a horse, truly a once-in-a-lifetime experience. With the help of your seasoned guides, the majestic Alberta Rocky Mountains will provide whatever type of western-style adventure you have in mind. 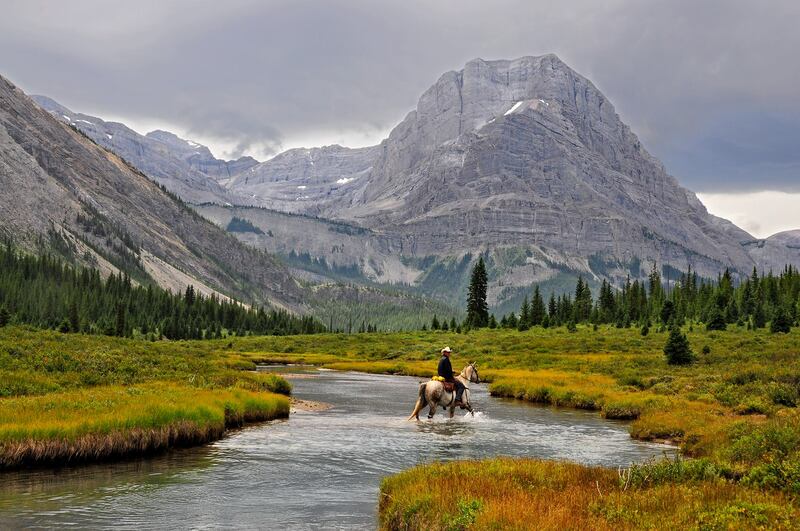 Choose from a variety of horseback riding options that range from one hour up to six days spent exploring the backcountry of Banff National Park. 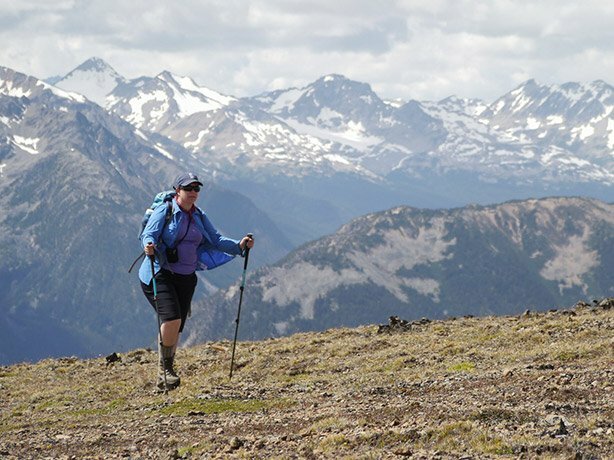 Knowledgeable park guides, who have been sharing their love of Canada’s first National Park for over 50 years, will expertly lead you through exhilarating remote trails. For example, you could select the one hour “Bow River Ride.” Guests are lead along the peaceful Bow River which encompasses thick marshes and grassy meadows as well as varied wildlife. If you are lucky you might even catch an eagle or a hawk soaring high above in the sky. Be sure to take your camera along to document the endless pristine views of the grandiose Rocky Mountains. There are also several other 1-3-hour rides that you can choose from like the “Spray River Ride”, “Sundance Loop Ride” and “Sulphur Mountain Ride” to name a few. 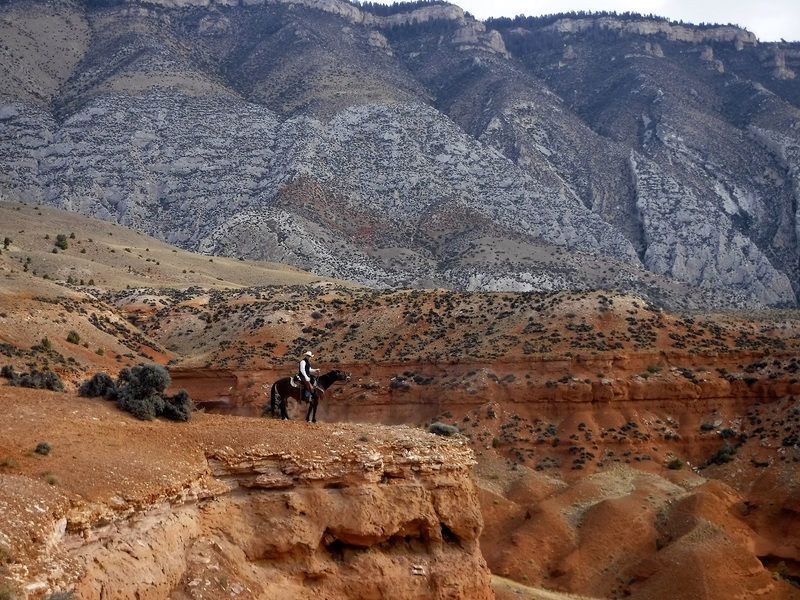 If you are looking for more time in the saddle, then the multi-day horseback adventure is for you. This is adventure travel at its finest. At night guests bed down in a cozy backcountry lodge or a well-equipped wilderness campsite after hitting the trails. At the Sundance Lodge expect some added luxuries like hot showers, indoor washrooms, comfortable bedrooms with Egyptian cotton sheets, a large country kitchen and a spacious living room with a cozy fireplace. The Halfway Lodge (utilized on longer rides) is a true backcountry lodge with a cozy interior, single beds, and outhouses. It also features a private, one-with-the-outdoors shower. Both provide a classic mountain lodge feel. Spacious A-frame heated tents with single, double and family tents available do just nicely for nights spent in the wilderness. 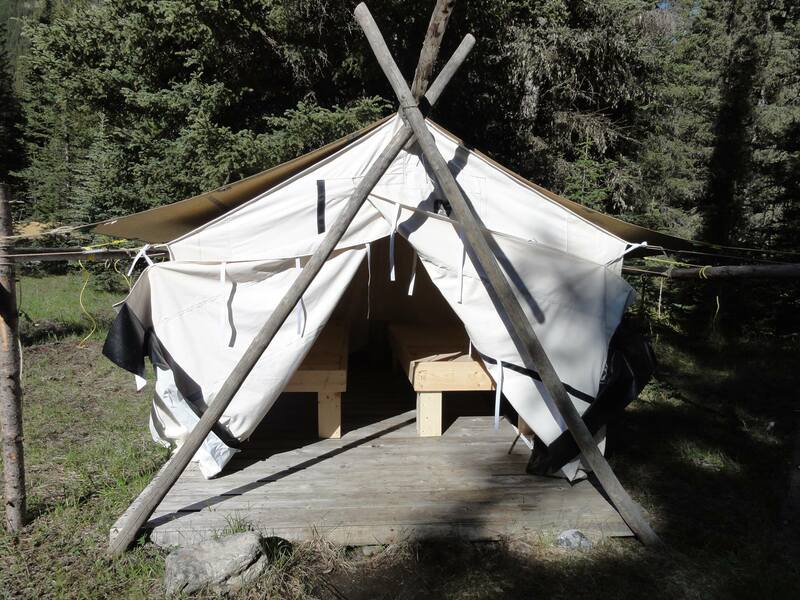 Each canvas tent sits on a raised wooden platform with comfortable camp cots ready for you and your sleeping bag. There is a large kitchen tent where all meals are prepared, and many social evenings are spent, and clean outhouses and washbasins are available at each camp. A 10,000-volt wildlife fence surrounds the camp and corrals, so you can rest easy knowing that there won’t be any unexpected wildlife visitors during the night. You will discover that days spent in the saddle and fresh mountain air tends to work up quite an appetite. And although you are miles from civilization you will find yourself pleasantly surprised by the sophisticated hearty meals that are prepared by your backcountry chefs. Fully catered meals include such delights like braised beef short ribs to grilled salmon. Go ahead and ask for ‘seconds’ you deserve it! 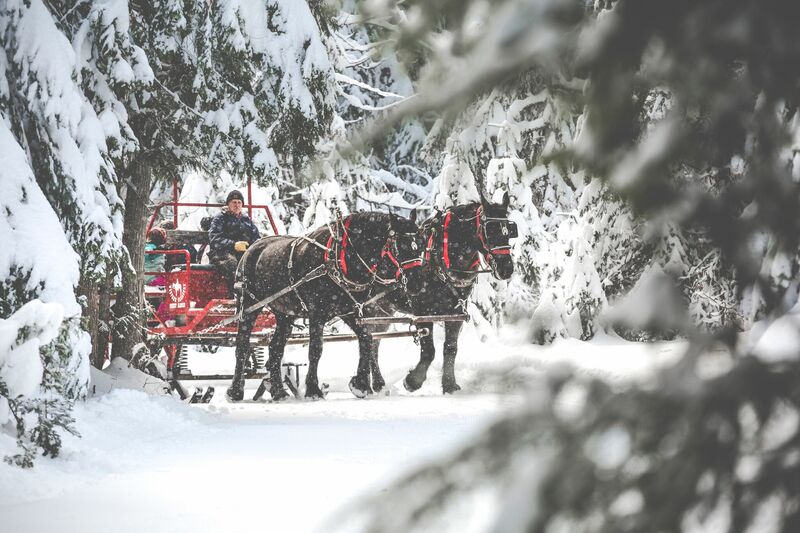 As you can see Banff Trail Rides offer many exciting riding and vacation options to choose from during the warmer months of the year but now you can also experience the magical beauty of the winter season as well. Regardless of when you choose to visit you will not be disappointed! Are you a photography aficionado? Do you love the great outdoors and horses? If so, then Three Bars Ranch has the ideal vacation package for you. From May 27st-June 2nd the ranch is offering their 2018 Equine Photography Week! 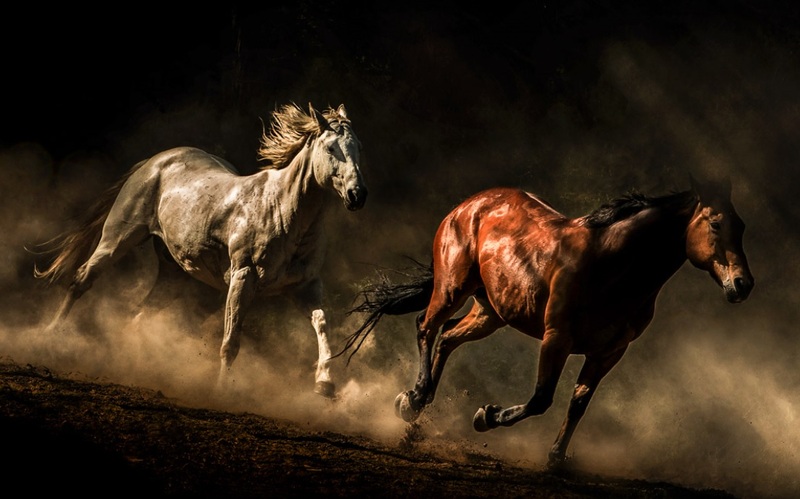 Join them and award-winning photographer Ryan Courson for a week long equine workshop. With the Canadian Rockies as your backdrop, and a heard of 80 horses as your subjects, you will have all of the opportunities and assistance that you may need in capturing some incredible equine images. In between customized shoots, you can enjoy all the amenities and activities offered at Three Bars Ranch. Be sure to let the ranch know that you heard about this exciting workshop through RanchSeeker’s Blog. Old Wild West Style Cooking! The Old Wild West conjures up visions of dusty towns, rolling tumbleweed, rowdy saloons, good time gals, sheriffs sporting six-point star silver badges, notorious outlaws and good ole cowboys. What is often overlooked is the hearty western cuisine that was prepared by the ranch’s cook during that era. After completing a grueling day of wrangling cattle and working out on the range, the American cowboy would have worked up quite an appetite! In those days, the ranch cook wielded a tremendous amount of power, so it was always wise to stay on his good side. His mood could determine whether the cowboys ate well or not that day. 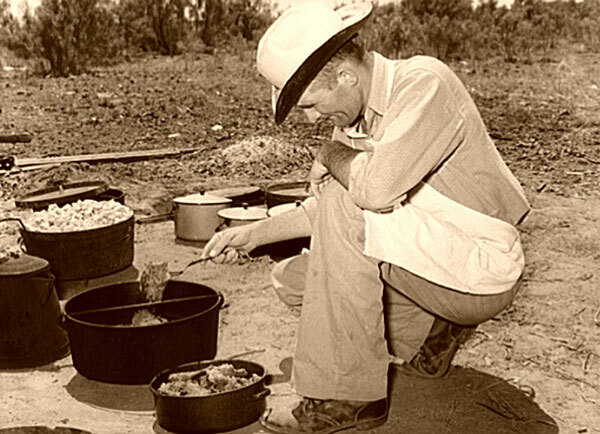 The quality of his food also played an important role in attracting top hands to a ranch, since other than getting a good night’s sleep there was nothing more important than being served up a top-notch meal at the start and end of each day. Western cooking entailed much more than baked beans cooked over an open fire. Below are just a few recipes that the American cowboy might have enjoyed after a long day in the saddle out herding cattle! This was a favorite beef stew dish among cowboys of the America West. It was also known as rascal stew or by the name of some unpopular figure of the time. For example, some cowboys called it Cleveland Stew in (dis)honor of President Grover Cleveland displacing cowboys from the Cherokee Strip. If you’re not into eating animal organs, pass this one up. However, if you want to put some hair on your chest, belly up to the table and pound this meal down. Cut the beef, liver, and heart into one-inch cubes. Slice the marrow gut into rings. Place these ingredients into the Dutch oven and cover with water. Let it simmer for 2 to 3 hours. Add salt, pepper, and hot sauce. Chop sweetbreads and brains into small pieces and add to stew. Simmer another hour. Combine coffee, ground chipotle, paprika, cumin seeds, sugar and salt. Rub mixture into steaks. Grill steaks until desired doneness. Makes four servings. Out on the trail, coffee was a staple among cowboys. Piping hot coffee helped a cowboy shake off the stiffness from sleeping on the hard desert ground, and it was also a good beverage to wash down the morning sour dough biscuits. But cowboys didn’t have the luxury of fancy coffee brewers or french presses. They had to pack light, so all they usually had was a metal coffee pot, sans filter, to brew their coffee in. No matter. 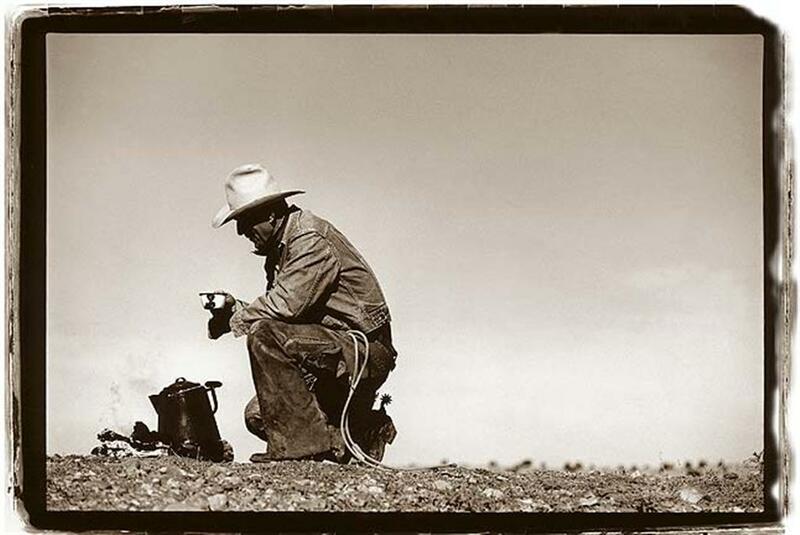 A cowboy could still make a decent cup of coffee. Here’s how. 1. Bring water to a near boil over your campfire. 2. Throw your coffee grounds right into the water. That’s right. Filters are for city slickers. 3. Stir the coffee over the fire for a minute or two. 4. Remove the pot from the fire and let the coffee sit for a minute or two to allow the grounds to settle at the bottom of the pot. Add a bit of cold water to help speed along the settling process. 5. Carefully pour the coffee into your tin cup so that the grounds stay in the pot. 6. Stand around the fire with your left thumb in your belt loop and your coffee cup in your right hand. Take slow sips and meditate on the trek ahead. Guest ranches today serve up anything from hearty western-style cuisine to haute cuisine and something in between. Regardless of which guest ranch you decide to stay at you will find that meal times are a special part of the day. They provide an opportunity to discuss the day’s events, make new friends and dine on delicious ranch fare. Click on the links below to see a sampling of just a few of RanchSeeker’s ranch recipes and learn a little more about the ranch’s featured. Let RanchSeeker help you find the ideal guest ranch vacation today. 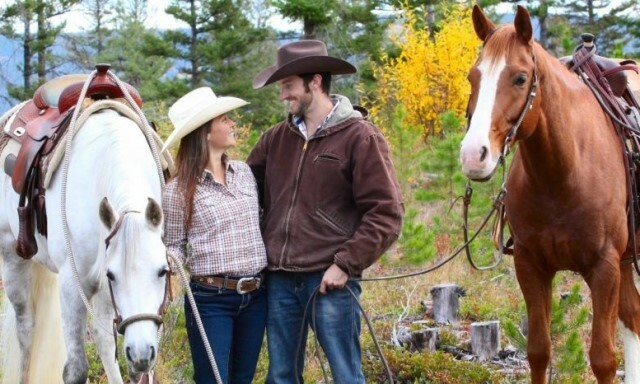 Situated on 1100 acres of land that encompasses the scenic beauty of North Idaho guests at Western Pleasure Guest Ranch experience true western hospitality during their stay. Open year-round visitors to the ranch can choose from several different “Adventure Vacation Packages” all of which include lodging, daily horseback rides and three country gourmet meals per day as well as evening entertainment and access to all ranch amenities. Guests can choose between either a cabin or one of the lodge rooms for their accommodations. Each cabin is different so be sure to explain your vacation needs when booking. All cabins and lodge rooms are comfortably rustic and are guaranteed to provide you with a great night’s sleep. A vacation at Western Pleasure Guest Ranch will reconnect you with nature and take you back to a time when things were simpler. Your ranch stay can be as relaxing or as action packed as you want. Throughout the year the ranch features special offerings and although anytime during the year is an ideal time to visit for those looking for something special to do this Valentine’s Day Western Pleasure Guest Ranch has you covered. "Join us at Western Pleasure Guest Ranch for our winter Sleigh Ride Dinner and Concert series! 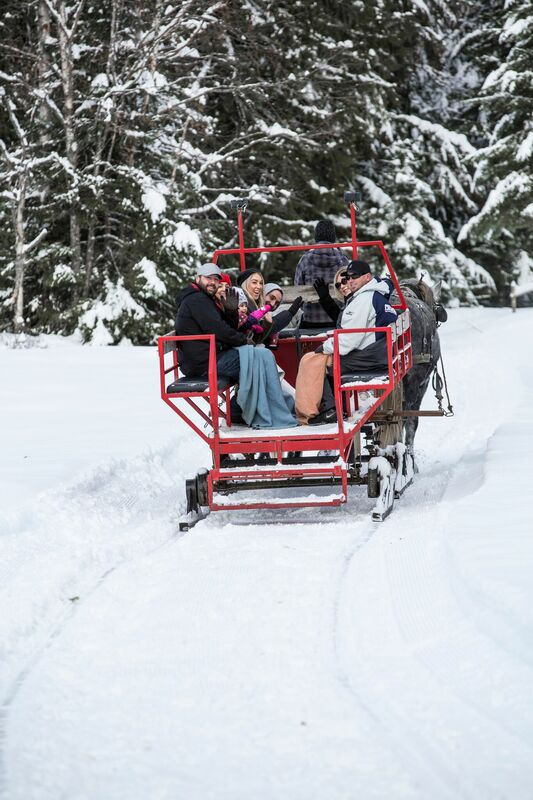 Sleigh rides can be scheduled at 5:00 or 6:00 each evening and dinner will be served at 6:30. Musical performances will follow dinner. A no-host bar will be available for you to purchase beer and wine. Reservations are required and can be made by calling (208) 263-9066. February 14, 2018 – This evening, local artist Maria Larson will perform soft jazz favorites to set the mood for this romantic evening. Menu TBA. $65.00 per person and $54.00 for children ages 6 to 12. Children ages 5 and under are free. February 17, 2018 – This evening, local artist Maria Larson will perform soft jazz favorites that the whole family will enjoy. The menu this evening will feature Ranch-Raised Beef Prime Rib and Chef's Choice Chicken. $65.00 per person and $54.00 for children ages 6 to 12. Children ages 5 and under are free." This year choose Western Pleasure Guest Ranch for your romantic getaway. Please be sure to mention that you heard about this Valentine’s Day Special through RanchSeeker first.